The episode starts with a car getting home in the dark. A woman in a baseball cap walks in and starts berating her husband. He promised not to drink while he was watching the kids and he’s drunk. They proceed to fight, and she tells him that she’s taking the kids and is going to demand full custody. He shoots her in the back as she goes up the stairs. Diana is questioning him on the stand, and he makes up a really pretty story. The jury buys it and he is found not guilty. He walks up to the grandparents, who have been keeping the two girls, and tells them that he wants his kids back. The grandparents aren’t having that. Bull tries to get a table for one at a fancy restaurant. That doesn’t pan out and he gets a burger instead. He then gets a no caller ID phone call. It’s from Diana. She gives him very specific instructions to get to Texas, but she doesn’t say why, and she doesn’t say that she’s forgiven him. When he gets to the hotel room in Katy Texas that she has summoned him to, she tells him about the case. Since she was the man, Derek’s, lawyer, she can’t do anything, but she wants him to represent the grandparents. Texas is the only state that allows a jury trial in child custody cases. She doesn’t give him a chance to refuse, and she hasn’t forgiven him yet. The grandfather is skeptical of Bull, but the grandmother realizes that they need all the help they can get. Derek and their daughter had been separated for three weeks. He called her 15 minutes before her death. She went to the grocery store and never came back. 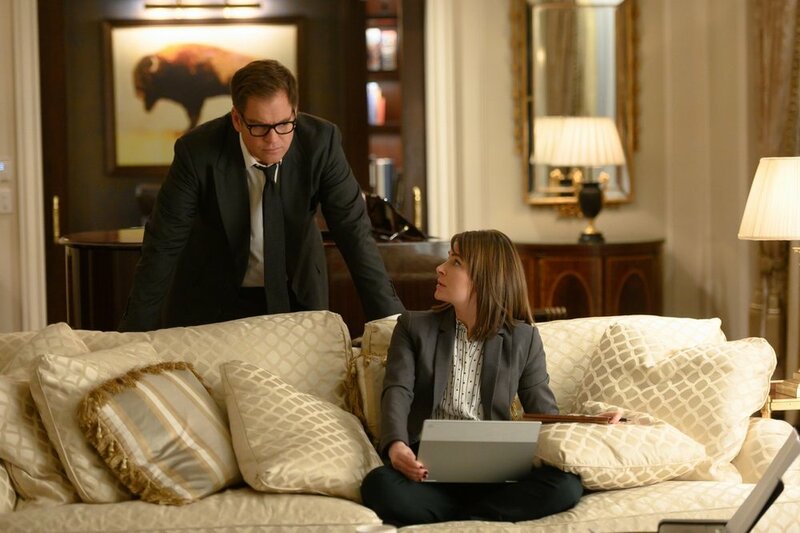 Bull calls Marissa and tells her to put herself and Benny on a plane ASAP. She can’t come because she has an important doctor’s appointment. Taylor will take her place on the plane. The judge is still trying to mediate. The guardian ad litem’s suggestion is that the girls stay with their father. The grandparents don’t accept that, so they’re going to trial. The judge reminds them all that this is a custody, not a retrial of Derek’s murder charge. That is not to be brought up. This makes it a bit more difficult to prove that Derek is an unfit parent, but they just need to find something else. Someone that violent is bound to have left other evidence. They put the grandfather on the stand. He tells the jury about an incident about a year prior. Derek drank an entire bottle of whiskey and then wanted to drive the family home from a family barbecue. When his daughter resisted, he got angry enough to break a door. The prosecutor brings up their age and the fact that the girls have a trust fund set up by their father. He says that he doesn’t care about the money and that the kids keep them young. Then the prosecutor drops a bombshell. He had a kid 45 years ago and he had no part in that child’s life. The grandmother didn’t know. They have a pow wow in the hotel room. The grandfather explains that they were both 19, and when she found that she was pregnant, she didn’t want to marry him. She wanted her high school sweetheart to be the man in the baby’s life. Benny and Bull say that he should have told them. The grandmother is ticked that he never bothered to tell her this. She begins to yell at him when one of the girls bursts in crying. She wants them to stop fighting. The grandfather assures them that there are no more secrets. Diana and Bull meet in the other hotel room, but they don’t do much talking. They just yell and then she leaves. Benny walks in on Taylor singing to her son. She still hasn’t found anything on Derek, so she’s doing a deep dive on social media. Derek is on the stand. He makes excuses and makes the jury feel sorry for him. Benny, Bull, and Taylor talk in a bar. Derek and the wife went on vacation to Italy, but she only posted photos on the first day. They ask Derek about it on the stand. He says that she fell in the bathtub and broke her cheekbone. That’s not what the hospital records say. They say that she told the hospital staff that her husband hit her. How hard did he have to hit her to break her cheekbone? Bull tells Diana that he had a good day in court. She figured as much, but before they get to celebrate, they both get texts. They’ve both been summoned to judge’s chambers at 8 a.m.
Derek is concerned that the trial has been compromised. 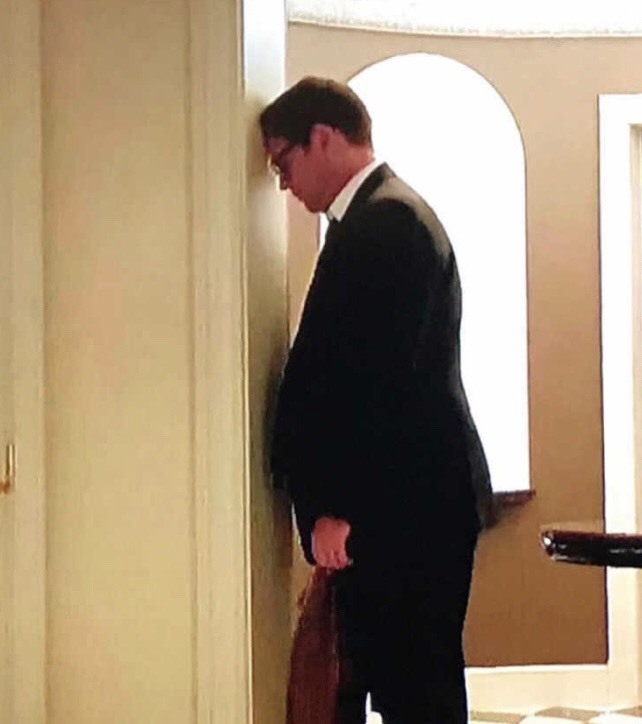 He told Diana about Italy and he thinks that she told Bull. 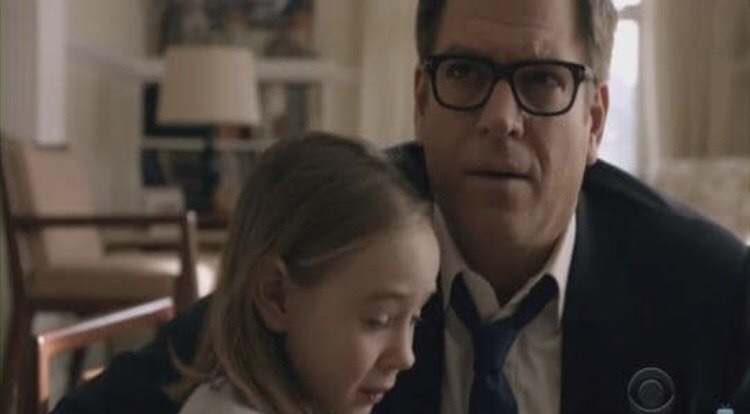 She didn’t and neither of them have talked about any confidential information, but it doesn’t look good, especially when Diana admits that she asked Bull to take the case. The judge is declaring a mistrial. Diana will definitely lose her job, and she might get disbarred. Of all the cases to lose, please not this one. The grandparents fire Bull. They have less than 24 hours to turn the girls over to Derek. Taylor found something. While she was at Homeland, she got really good at reading lips through CCTV. Derek didn’t call his wife that night. One of the kids did, which means that she probably saw the whole thing. Bull talks to the older girl, the same one that cried when the grandparents started to fight. She did see her dad shoot her mom and she blames herself. Bull assures her that it wasn’t. She’s scared because her father told her that if she told anyone, she would never see her sister again. Bull and Benny talk to the judge and tell him that DA was fascinated to learn that there was a witness to the murder and that Derek threatened her. He of course can’t be retried for murder, but he can be tried for witness tampering. There’s even a lovely loophole in Texas that, if convicted of witness tampering, the person gets the same sentence as if they were convicted. Derek is going to prison for life and will never threaten those girls again. Bull talks to Diana. She lost her job, but she’s more worried about getting disbarred. Bull managed to persuade the judge not to allow that to happen. He also asks Diana to come back to New York with him. After a little arm twisting, she agrees. I love Texas. Very rarely does this show surprise me, but I was scared there for a moment. Bless Texas loopholes. 8/10.